What makes it a Teacup? The dog has to weigh less that seven pounds to be considered a Teacup. 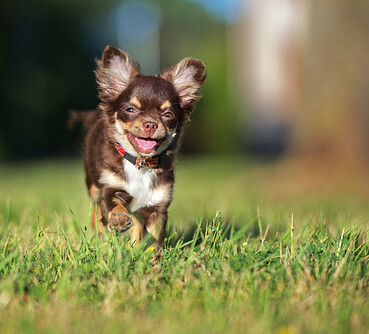 The tiny stature of this dog does not preclude them from doing the same things as the larger dogs though, they can fetch, perform agility, and go on short hikes. They can even be trained to be therapy dogs. One thing to consider is that the small size of the dog may not be the most appropriate for small children who may accidentally harm the dog if it were dropped or played with too roughly. Its ancestors were from Iceland, and being larger, they were used to pull sleds. 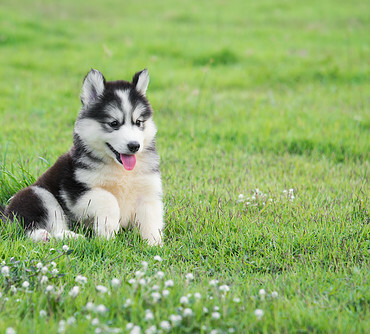 Breeding history determines the dog's color, which can be any combination or solid and no two are alike. There are even three types of faces to look for in a Teacup Pomeranian; Fox, Baby doll, and Teddy Bear each being the perfect name for the face it describes. The lifespan of these dogs is long, typically, 12-16 years and as a breed, they are alert, friendly, playful, and loyal good watch dogs. They require regular attention and daily walks to be cared for correctly. Even though these dogs typically enjoy long lives, knowing about the breed, understanding its needs, and providing great care can help assure that is so. Like all breeds, even with the best care, they may develop health issues anyway. This particular breed is prone to having trouble with its back legs and/or developing alopecia, which is abnormal hair loss. Because of this, allowing them to jump from high places is highly discouraged in an effort to reduce leg injuries. These dogs are also prone to heat stroke in high temperature and humidity situations, so it's important to bring them inside on those hot days. In addition to keeping them healthy, it's also important to keep them safe. Because of their size, these tiny dogs are small enough for an owl or a hawk to carry off and therefore when they are outside the owner needs to keep a vigilant look out for impending danger. These little dogs are often loved by celebrities and live the life of doggy luxury. They love to be spoiled, dressed up, and carried around. Top 5 Routes for "Teacup Pomeranian"
The Nest This site reviews the breed, highlighting typical behaviors, and characteristics. 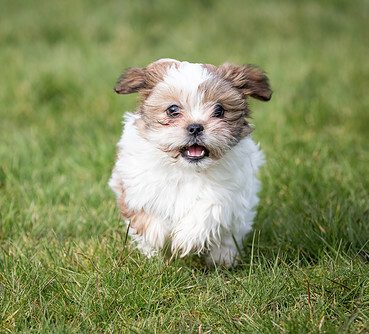 Teacup Dog Daily A site that provides some history of the breed as well as common health conditions of the breed and behavioral traits. American Kennel Club This is the AKC page for the Pomeranian breed and it is set up in a fun fact format. The American Pomeranian Club This site has a lot of information regarding the breed and claims to be an advocacy group that promotes responsible, ethical ownership, and breeding of purebred Pomeranians. Dogtime A page that has a really nifty breed characteristic list with corresponding rating scale. For example; it will list the characteristic of all around friendliness and then rate the level of affection with family, kid friendly, friendly with other animals etc. on a scale of one to five.